White with neutral tones, blue and green highlights, large open deck, plunge pool big enough to swim, small extra bedroom for one adult or two small children, additional shower and wc, access via flight of steps. 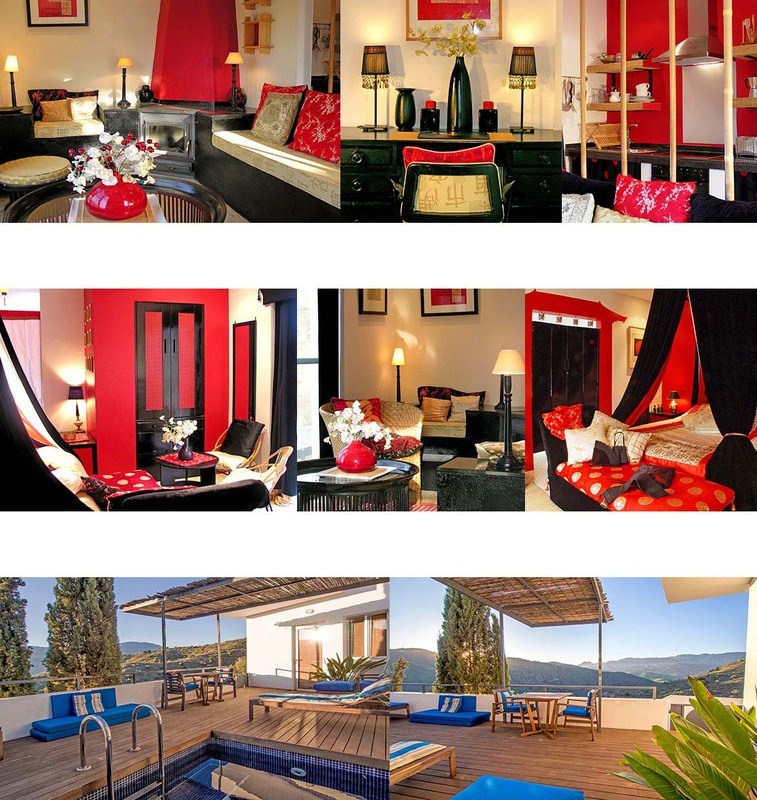 Red silk, black velvet, rich fabrics with eastern detail against white highlights, decked terrace with square, deep plunge pool, access via flight of steps. Soft tones of green, lilac and pink, white highlights, authenic Indian furniture, decked terrace with square deep plunge pool, additional roof top garden, large day bed for extra sunning, access via flight of steps. Shades of turquoise, rich fabrics, yellow highlights, white backdrop, large deck, long plunge pool gated if needed, annexe use as writer's retreat or to sleep one adult or two older children, separate shower and wc, access on the level. Standard rate per night from 225.00 - 265.00 Euros includes accommodation for two people including breakfast and tax. All suites are fully equipped and are cooled by ceiling fans and A/C if needed. Want to include an additional adult or children? Send us a message with your requirements. Additional rate for the Sultan annexe from 85.00 Euros per night, depending on use. Recommended inclusive packages - 3 nights from 855.00 - 975.00 Euros, 5 nights from 1375.00 - 1575.00 Euros, including accommodation for two with own terrace, plunge pool and Mountain View, a fabulously stocked fridge on arrival, breakfasts delivered to your door each morning, dinner for two each night in the Fountainhead Restaurant (full a la carte) all taxes. 'Do absolutely nothing' 7 nights inclusive package from 1785.00 - 2065.00 Euros, including accommodation for two with own terrace, plunge pool and Mountain View, a fabulously stocked fridge with a bottle of Spanish cava on arrival, breakfasts delivered to your door each morning, dinner for two each night in the Fountainhead Restaurant (full a al carte) and all taxes. 'Recipe for Tranquility' natural spa packages, 3 nights from 1265.00 - 1385.00 Euros, 5 nights from 1825.00 - 2025.00 Euros, 7 nights from 2275.00 - 2555.00 Euros. For a total wind down, just book your flight, pack a good book and something special to wear. All inclusive, a car and driver to meet you at the airport, accommodation, breakfasts delivered to your door, dinner for two each night in the Fountainhead Restaurant (full a la carte), a fabulously stocked fridge with a bottle of cava on arrival and all taxes. Also included a light tapas each day at lunchtimes, spa sessions - two relaxing massages, (or one facial treatment, one massage) and one Bath house treatment for two... And when its time to go, a relaxing drive back to the airport. Arrive anytime - depart anytime. Don't see anything that quite suits? No problem, we specialise in tailor-made packages, just send us a message with your requirements. Late night extension 'Wake up to the view'. Take a late flight, arrive late or in the early hours - we may not greet you personally but the lights will be on and your suite welcoming. Rate includes extra night accommodation and breakfast for two. Add-on cost 125.00 Euros (on packages of three nights or more). Early departure extension 'Back to work'. Extend your stay one more night, have an early supper and depart early the next morning. Rate includes extra night accommodation and dinner for two. 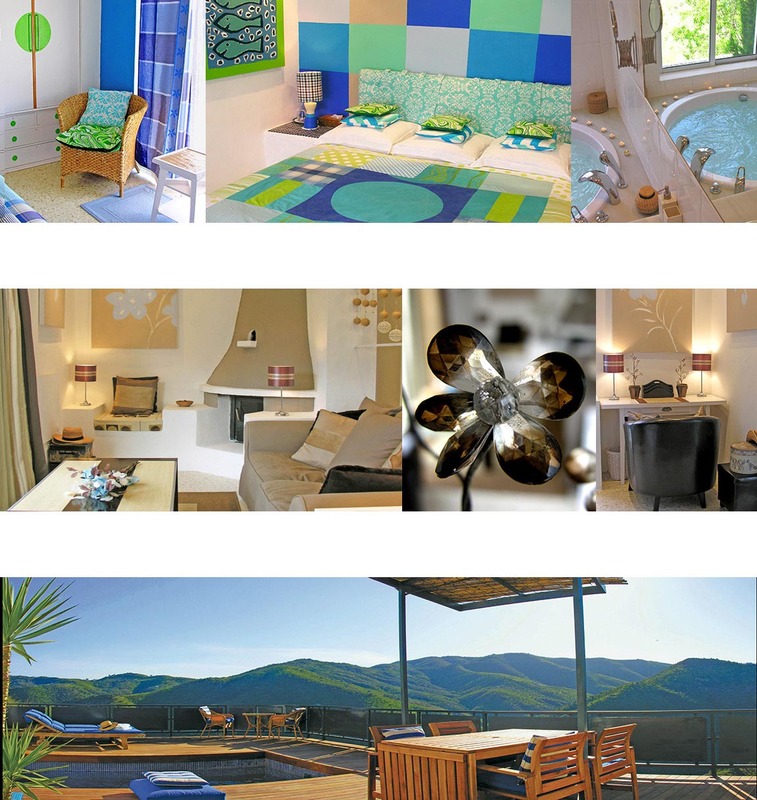 Add-on cost 165.00 Euros (on packages of three nights or more).